What’s not to love about this book? A Kentucky horse ranch, a troubled vet who’s hopelessly in love with his best friend’s sister, and a woman who isn’t afraid to fight for what (and who) she wants. I really rooted for Peyton and Storm. After they got together, I wondered how the story would keep its tension. Well, I didn’t need to worry. With the threat on the family and their prize race horse, and the push and pull of attraction between Peyton and Storm, I was hooked until the end. But what I want to know is…who won the Derby??? I thought the dynamics between the main characters was both true to life and mature. They had problems, and then talked about them like adults. Kudos to Valerie Clarizio for building a world I would love to live in. After reading Ms. Scott’s Back to You, I was very excited about her new release, Homefront. This story follows a formerly married couple, Gale and Melanie Sorren, and their teenage daughter, Jamie. Gale is a career soldier, who has always put his commitment to the Army before anything else, including his family. Being a soldier is the only thing Gale feels he’s ever excelled at. As a husband and father, well, to be honest…he kinda sucked. Now, having been stationed at Fort Hood, Gale’s living close to his ex-wife and daughter. He wants another chance to make things right. Only Melanie has been burned by him before. She’s spent fifteen years raising their troubled daughter, all on her own. Why would she want to take Gale back? That is the million dollar question in Homefront. Mel stills carries a flame for Gale, and Gale is obviously still in love with her. Neither one has found someone else to fill that void. Fifteen years is a long time to be apart, and not just – hey, I’m living on the other side of town, but I’m living on the other side of the world. Their daughter has more than her fair share of teenage angst, and Mel has been having to deal with that all on her lonesome for way too long. I’m a sucker for second chance romances, and there is plenty of conflict preventing Gale and Mel from getting back together. I liked both characters. Ms. Scott did a great job bring them to life, faults and all. Her writing style is gritty and real, and doesn’t shy away from the tough stuff. My only complaint is that I felt Mel was way to easy on Gale. I would have made him grovel a bit more, but maybe that’s just me. 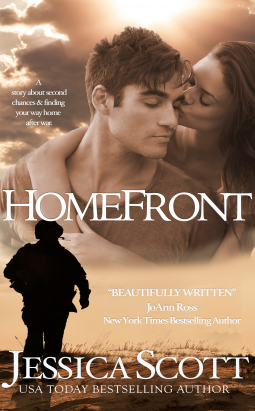 If you like military romance and second chance love, pick up Homefront. The romance genre has had a long love affair with the military hero. Nothing beats a man in uniform. But who wears it better? And who makes a better Black Ops warrior in a romance story- Navy Seals or Army Special Forces? The various branches of the US military are notoriously competitive. 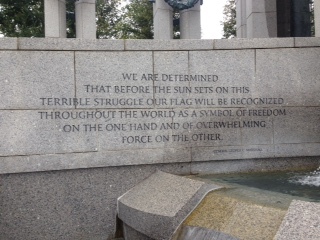 Ask any Sailor, Marine, Airman, or Soldier, and they will insist that their branch is far superior. And when they’re forced to share the same space, like a base in Afghanistan, their competitive nature really is displayed. When I started researching for my book, Home Field, I looked for first person accounts of military forces deployed to Afghanistan. I became drawn to the stories of Special Forces soldiers. There were two books that I found extremely helpful in understanding the Special Forces soldier. First was Lions of Kandahar by Major Rusty Bradley. Second was Gentleman Bastards: On The Ground In Afghanistan by Kevin Maurer. Both books I found extremely enlightening. I learned the complex command structure of a SF A-Team, their specialize combat training, their selection process, the different specialties that make up each twelve man ODA, and their motto-DE OPPRESSO LIBER. Special Forces are called the Quiet Professionals. Most go about their important work, not seeking fame or glory. They are trained to be peacekeepers and work with indigenous peoples to gain there cooperation and support. Instead of blowing things up, they work to hold things together. Special Forces teams have been involved in the Black Hawk Down incident, the hunt of Saddam Hussein, and many other important missions around the globe. So, can you see why I chose to represent Special Forces in both my books. Unfortunately, it’s the death of a SF soldier that is the catalyst for the events in Home Field. (Yes, I did feel really bad about killing him off) My second book, True Horizon, follows a SF veteran who is suffering from PTSD. I know you can pick up hundreds of romance novels staring Navy Seals. The Navy Seals have earned their fierce reputation. It takes incredible courage and fortitude to make it through BUDS training. But once I learned about what makes the Army SF so special, I wanted my story to highlight those brave men.